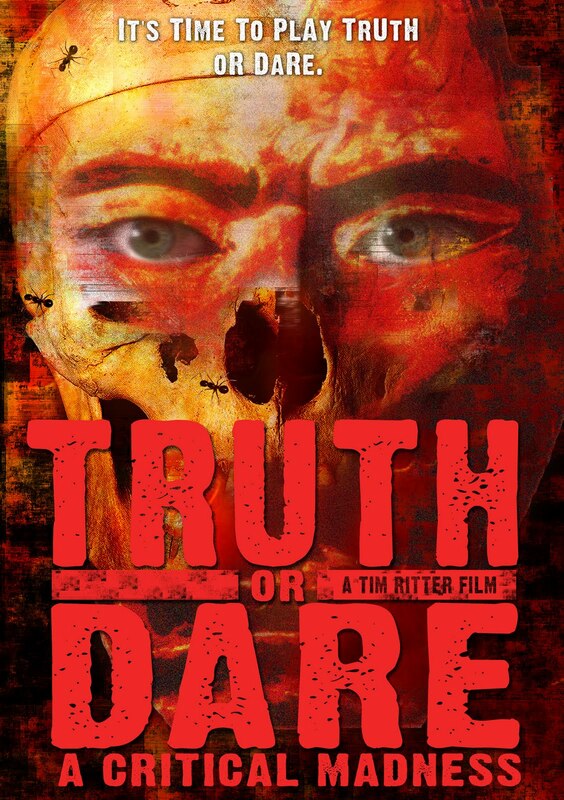 Cinema Obscura: "Truth or Dare? A Critical Madness"
"Truth or Dare? A Critical Madness"
"Truth or Dare? A Critical Madness" is as hilarious as it is perplexing, with a storyline that raises a list of questions about as high as the movies body count. The overall feel of the movie is vaguely reminiscent of that of Halloween, you know, the whole murderous psychopath who doesn’t die thing. "Truth or Dare" did offer up one surprise - for as much killing and murdering as there is there in this movie, the gore factor is minimal, which might speak more to the year it was released (1986), than anything else. The movie follows Mike Stauber (John Brace), who comes home early from work to find his wife Sharon cheating on him with his best friend. He then goes crazy, starting with a scene in which he cuts his finger off, cuts open his chest and rips his own tongue out, before finding himself in and out of Sunnyvale Mental Institution. He begins to become obsessed with the game Truth or Dare, which often results in severe self-mutilation, and the mutilation and death of others. He is on a quest to kill his ex-wife, a quest that includes a hefty trail amount of dead bodies along the way. The best part about the movie might just be the ending sequences, as honestly, the ending is what you’d expect. But the most hilarious scene comes near the end, when Stauber arrives at his ex-wife’s house and drives into the neighbor’s garbage cans, to which she is pissed and demands an apology. Stauber emerges from the car, goes to his backseat and brings out a grenade, handgun, machete, chainsaw and mace. The neighbor doesn’t seem to care, demanding an apology over and over, before finally succumbing to a mace to the face. Questions really do abound however, like where exactly does Stauber gets these different weapons in each scene? During his second stint in the metal institution he somehow manages to ‘sneak’ in a grenade and 2 knives, and then he gets his hand on a machine gun and chainsaw in back-to-back scenes. Another question is why didn’t the police have an APB out on his car? And why didn’t anyone pay attention to Stauber when he mowed down three people on a bus bench in the middle of the street with a machine gun? The questions just add to the camp factor. "Truth or Dare? A Critical Madness" is sub-B-horror in all its fun and frivolous revelry, complete with a high body count and pretty good ending.